Again, I went through my favourite on-line shop products!I am addicted to Bodie and Fou! but I like this addiction.. ! Like any other addictions it make my life happier, better and I am checking daily their page to see what’s new there. I would lie if I say I do this because I am interior designer. I do this because I just love this! This is the positive addiction. Despite I do design other people spaces; I do like to dream how would I decorate my very own place. Half of the stuff would be from them! I do specify their products for my clients but then is different when I do pick my favourite, my very own little treasures from them. I want to be addicted forever and I don’t need therapy..I think?! ;) Wanna join my little addiction?? 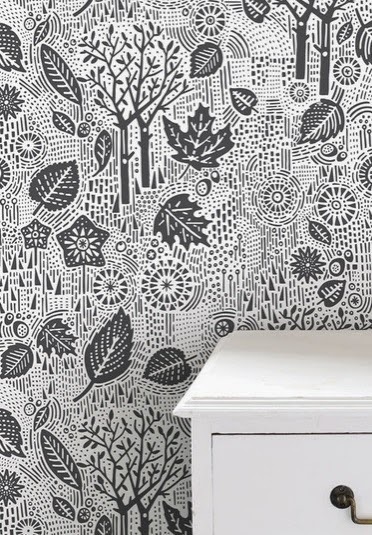 This stunning black and white leafy wallpaper by Bold &Noble inspired by weather and Scandinavian folklore! Big Yay!!! 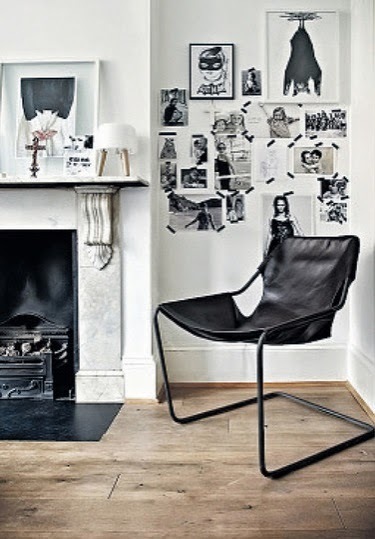 Next that caught my attention is Paullistano chair black leather. 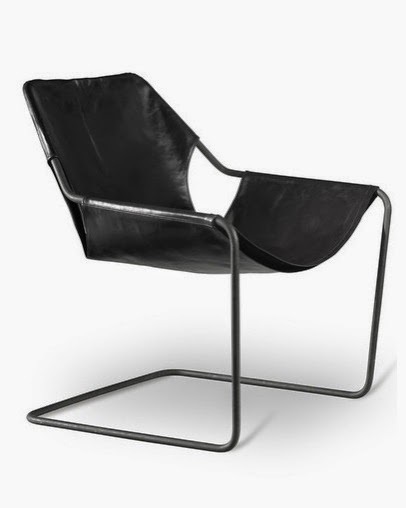 Quite pricey but definitely stunning piece to every home or office!Designed by Paulo Mendez da Rocha this chair now is in display at Museum of Modern Art of New York (MoMA) along with iconing Mies vad de Roche chair! It’s a must have piece of furniture!I also like the Gold Cotton(cheaper) and brown leather versions.. which one is your favourite?? 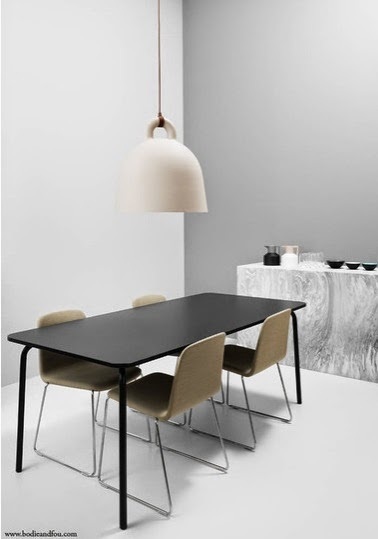 Bell Lamp designed by Andreas Lund and Jacob Rudbeck is Fantastic! Perfect for kitchen above the dining table or as feature lights in office interiors! I wouldn’t be shy saying that this also would look great in any bars or restaurant !Stunning! 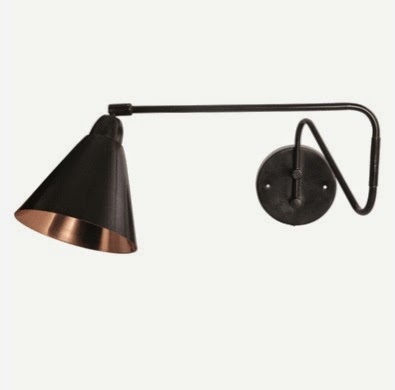 This New York black & Copper wall light is just STUNNING! Flexible axe allows to change according to your needs. £155, it also comes in small version with is just shorter axe and straight. I tell you little secret (I have specified those for a footballer home! :) Just love it! 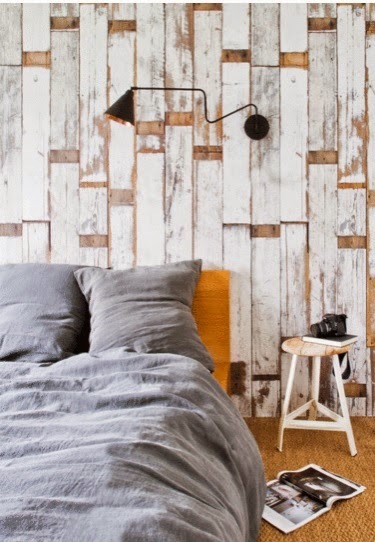 The wallpaper reminds me very much of the Moomin books I read as a child, love it. 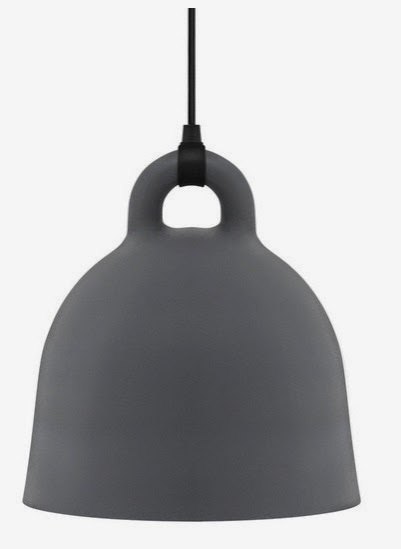 The bell light is a bit too obviously a cow bell, quite quirky, would like to know its material before deciding upon its stylistic merit, I'd like it to be ceramic, that'd be cool. The black and copper wall light looks good, if a little flimsy, but I think I like it.